Summary: Having once had a lush, green lawn that now has yellow spots all over in it is NOT what you want! We provide an explanation to this lawn problem and give you a suggestion on how to treat it. Having once had a beautiful lawn that now has yellow spots all over in it is NOT what you want! Dog elimination causes your lawn to burn because of the ammonia in the waste of your dog. Fortunately there are new products that help to neutralize the effects of the ammonia. One type of product is a tablet supplement or snack that your dog ingests. Most of the tablets are fortified with additional vitamins and minerals. Your dog will probably think of them as a snack! The tablets counteracts the ammonia this is eliminated from your dog. 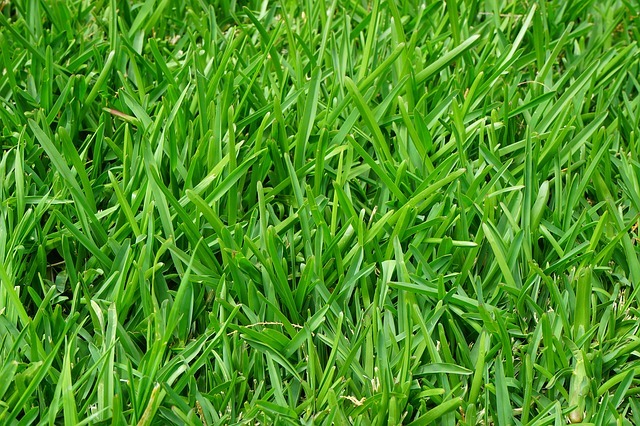 This is a popular solution with patchy grass and dead spots in lawns caused by dogs. A product like we just described is available from Amazon. It is GrassSaver® Plus Enzymes Soft Chews . This is simply given to the dog just as any dog treat. It comes in a chewable tablet. The neutralizing ingredients in this product are probiotics and enzymes which reduce the urine nitrogen in dogs. These ingredients effectively counteract the production of ammonia with your dog. It is made in the USA. There are also products that have scents in them that dogs like. These products will encourage them to do their business close to the attractant. You can now have a beautiful lawn and a dog! Neighbors will be surprised and envious that you can have both. Look for a product called ‘Hydrant Scent Attractant’ that claims to attract dogs through a special scent attractant. If you have further comments or questions about ‘why my dog is killing my grass’, feel free to visit our Forums or make a comment on this article below. We encourage participation and feedback.